Armstrong Winery Launch Party for the series ‘Explosion of the Soul’. 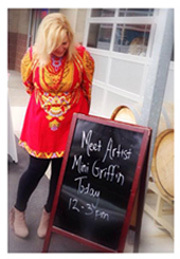 12th Annual Kirkland Artist Studio Tour KAST. One piece in the Kirkland Art Center show. 32 pieces for Polaris office, curated by Doris Mosler. Donated piece for Gavin’s Gift Auction. $4000 donated to Children's Hospital for their journaling program from the sale of ‘Light in Love’ piece. West Seattle Art Walk at the Windermere Office. Donated piece ‘Lummi Lights’ to The Preston Kuppe Guild Auction. Kirkland Artist Studio Tour KAST.